We’re thinking spring now, ready to get outdoors and begin seasonal landscape maintenance to prepare your commercial property for summer. We’ve talked about what to look for in a landscape maintenance contract and the questions you should ask before hiring a landscape vendor. But your grounds need more than a mow-blow-and-go approach if your goal is to create a sustainable, healthy landscape that: 1) adds value to the property; 2) increases tenant attraction and retention; and 3) enhances the experience for the people who live, work and play there. When you add these services to your contract now, you can take advantage of pre-season specials and maximize your landscape budget. 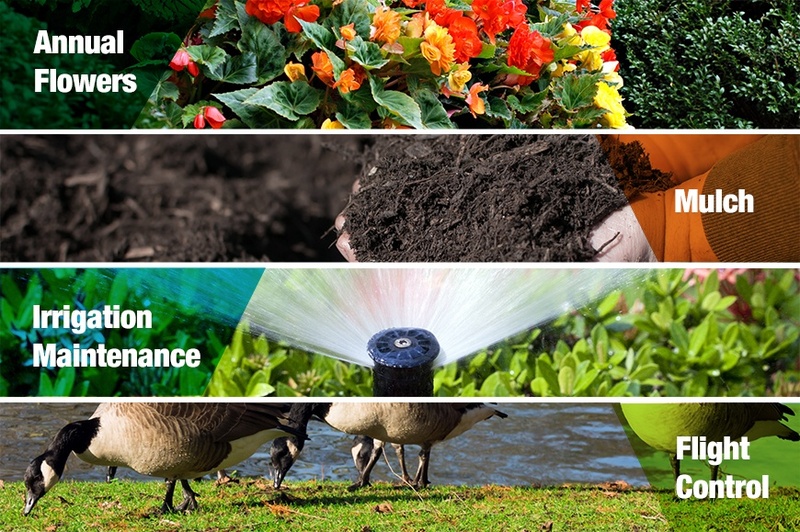 Each of these add-on landscape maintenance services provides a measurable return on investment. Read on for how these extras add value and promote the sustainability and longevity of your outdoor environment. Want to learn more about keeping your landscape looking great in any season? Change is good. 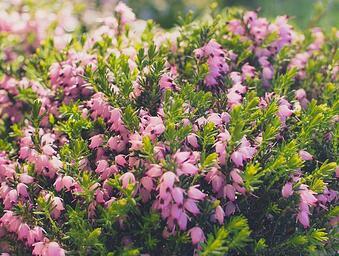 We all look forward to the time of year when flowers bloom and subtle winter landscapes come alive with color. Fresh, annual flowers keep landscape beds interesting and relevant. You can choose the season’s newest flower introductions to keep your landscape on trend, which is important for high-visibility properties. After all, curb appeal is an important component of a property’s overall brand. The benefits of mulch include preventing erosion, suppressing weeds, improving soil and plant health, and retaining moisture. Mulch helps retain soil temperature, which is especially important during those transition seasons like spring, when plants and flowers are blooming and air temperatures can fluctuate dramatically. The most visible reason for fresh mulch is that it simply makes a property look finished. Once beds are edged as part of spring cleanup services, applying mulch is the final touch. A Client Care Specialist can help you understand the different types of mulch for commercial properties and what’s best for your landscape. Water savings can be realized when an irrigation system is running efficiently, and by upgrading outdated components. New smart controllers and rain sensors can significantly reduce your spend on water. Also, an annual irrigation audit to identify leaks, breaks and “weak links” like antiquated clocks and timers will help you create a priority list of which issues to tackle first so you can plan. Geese are attracted to water and wide, open spaces. Commercial properties with retention and detention ponds find these areas are breeding grounds for nuisance birds. Not to mention, geese will cross through the “curb appeal” areas of your property to reach nesting spaces. Geese make a mess of turf—no one likes stepping in what they leave behind. Not to mention, their droppings can actually cause turf problems. 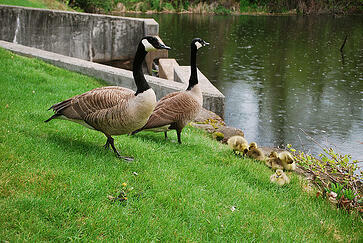 In spring, the goal is to prevent geese from feeding and choosing a nesting area for a drop zone. This can be accomplished by using safe repellents, and by installing monofilament flight line across ponds to keep them from landing. Rather than just covering the basics, build on your landscape maintenance “foundation” with important add-on services that preserve the health and beauty of your commercial grounds. Your landscape is an asset that needs to be managed carefully to retain its value. Doing “just enough” to take care of grass and weeds isn’t enough if you want to attract and retain tenants, provide a pleasing guest experience, and stand out from the competition. By adding services to your annual contract now, you can maximize your budget and get the greatest return on your investment. Give us a call so we can answer your questions. 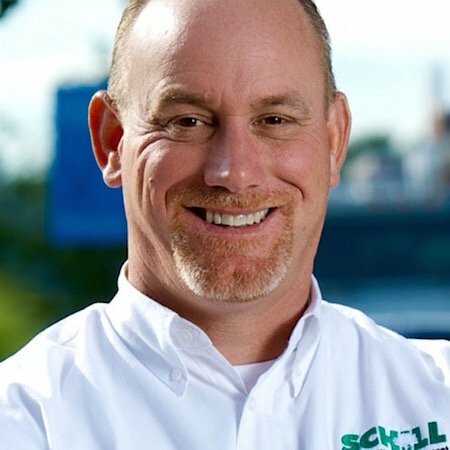 Read about what to expect with landscape service pricing in our free Guide to Commercial Landscape Pricing by contacting Schill Grounds Management or calling 440.327.3030. A Client Care Specialist will be happy to give you clear, honest answers to your questions.